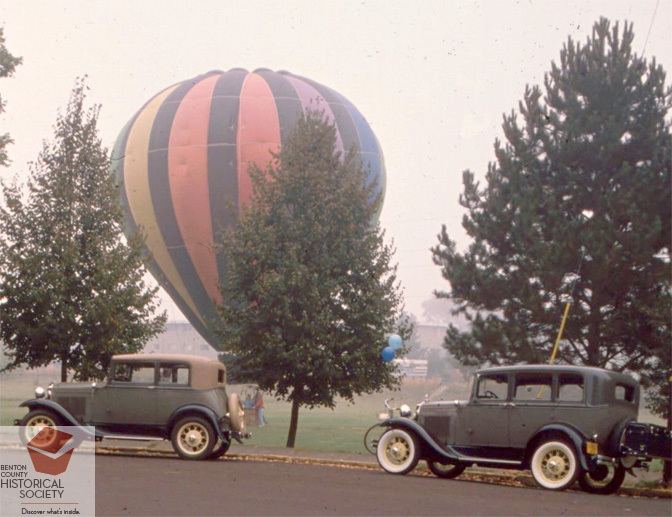 In 1960, Ed Yost revived the sport of hot air ballooning by developing the propane heater and pioneering the use of non-porous synthetic fabrics for the envelope. The on-board propane heater allowed balloonists to carry their own fuel, thus sustaining flight and enabling balloonists to move up and down to find desirable air currents. These photos are from the Gaylord House moving day festivities in Washington Park, Corvallis, Oregon.